Are you an U.S. green card holder living temporarily abroad who has applied for a reentry permit? You have several options for dealing with the hassle of attending the USCIS biometrics appointment: expedite, walk-in, reschedule. Request an expedited biometrics appointment. 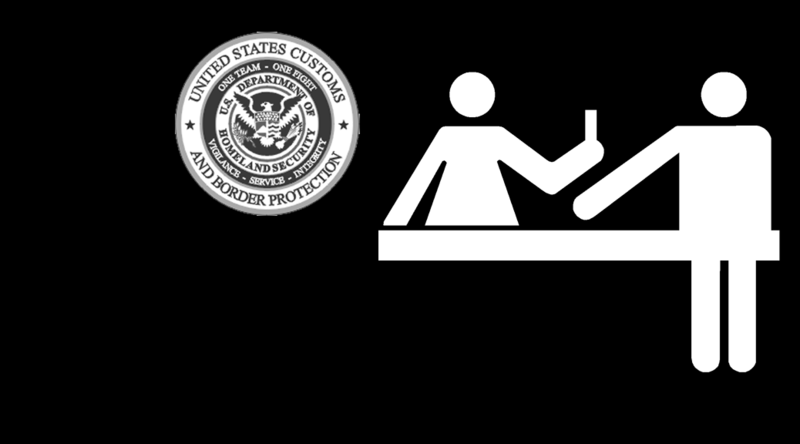 Request a biometrics appointment at an overseas USCIS office. Note that it’s also possible to leave the U.S. after your reentry permit application is received and accepted by USCIS, then come back later for your appointment. Even if you are unable to expedite your biometrics appointment, it may be possible to walk in to the ASC with jurisdiction over your place of residence at a different time. Or a different ASC. If you live in China or elsewhere in Asia, it may be more convenient to attend a biometrics appointment at the ASC in Honolulu (Hawaii), Guam, or Saipan than to travel to the continental U.S. Allowing biometrics processing without an appointment is a matter within each ASC’s discretion, so ask your lawyer to check whether it’s currently possible. Bring your receipt notice or biometrics appointment notice. And any evidence of the urgency of your travel. If the appointment time is inconvenient, you can request that it be rescheduled. Follow the instructions on the appointment notice. This option is newly available as of December 2015. For more information, see our law firm’s Guide to Reentry Permits. Can a Permanent Resident Who’s Been Abroad for 6 Months Apply for U.S. Citizenship? The American Immigration Lawyers Association (AILA) is discussing with USCIS the issue of hardship in the biometrics process and the need for an option of scheduling a biometrics appointment abroad. AILA is looking for stories from reentry permit applicants about the hardship of returning to the U.S. (or waiting in the U.S.) for their biometrics appointments. Do you want to help with these advocacy efforts? Add your story in the comments or email it to me. I am writing about my extreme disappointment with US Citizenship and Immigration Services (USCIS). By a wide margin, this is the most incompetent, loathsome, and hostile bureaucracy I have ever encountered. I am only half joking when I say I would rather go to the DMV for a root canal than deal with USCIS ever again. I am an American citizen. My wife is a lawful permanent resident, who obtained her green card through the K1-visa process and subsequent marriage to me approximately two years ago. This was also a Kafkaesque nightmare that involved at least one otherwise unnecessary trip abroad, four months of forced unemployment for her (literally, this is an inescapable part of the process…you can’t leave but you can’t work! ), and countless hours, dollars, and reams of paper, most of which served no purpose. However, that is a story for another day. Recently we have fallen into an even deeper pit of USCIS insanity. Shortly after my wife received her provisional, two-year green card in early 2011, I was informed by my employer that they wanted to reassign me to their foreign parent company for a two year rotation. Before we left, my wife applied for a travel permit (I-131), which for two years protects green card holders who are abroad for substantial periods of time from being presumed of having abandoned their residency, and having their green card taken from them when they try to enter the US. In USCIS terms, this was relatively painless, only requiring a few dozen documents, a couple thousand dollars, and a biometric screening at a USCIS office (photo, fingerprints, etc.). This was my wife’s third set of fingerprints and photos in approximately a year as she needed them for the K1 visa, as well as needing a biometrics screening during her green card application process. Flash forward a year and a half to last November. My wife’s provisional green card is about to expire. We file a petition to have the conditions removed (I-751) and for her to obtain an unrestricted 10-year green card. Again, the paperwork and cost were absurd but not completely insane. But one big caveat stuck out – she needs to do biometrics. Again. In the US. At a time and place of USCIS’s choosing (always Cleveland, near where we lived and where my employer is based). It is not even really possible to guess when this will be. Probably in the summer some time, because USCIS is completely backlogged. We will only get a few weeks’ notice, making travel expensive, inconvenient, and otherwise worthless. 2: Approximately four weeks later, she will be required to do biometrics. Yet again. In the US of course. Note that “approximately four weeks” in USCIS-speak can mean anything from three weeks to two months. 3: When applying for her new I-131, she must return the old one. This means she can’t leave the US because she won’t be able to get back in without jeopardizing her green card. Apparently the reason she has to turn the old one in for “security reasons”. Add these three together, and this requires my wife to return to the US for an indefinite period of approximately a month. This will require to quit the job that she has found in the country to which I have been assigned, cost us a fortune, and be an extraordinary inconvenience in all sorts of ways for the both of us. Note that we do not have a house or apartment in the US, so her only alternatives are travelling or staying with family and friends. All of this, of course, is ridiculous. There is precisely zero reason someone needs to be in the US to mail a damned letter. There is no need for them to fingerprint and photograph my wife for the fourth and fifth time in three years. There is certainly no reason they can’t do this in consulates and embassies abroad. There is no need for them to invalidate the old I-131 before the new one is issued. 2: Allow biometric screenings at foreign embassies and consulates and eliminate repetitive, unnecessary ones. No more than one per two years. 6: Otherwise scour all of their visa and green card policies for situations that would either unnecessarily force people to leave or return to the US on USCIS’s schedule, or would place them in situation where they were both trapped in the US and unable to work legally. 7: Otherwise acknowledge that this is a modern, highly connected world and that “US permanent resident” doesn’t mean “I intend to spend virtually every day for the rest of my life in the US”. It should be an exceptional case for someone to lose their green card merely for not spending “enough” time in the US, particularly with “enough” meaning “whatever the immigration officer I run into thinks on that particular day”. Literally, there are no standards here other than a single trip abroad of less than six months is safe and more than one year is bad. If someone is not spending “enough” time in the US, that should not be an issue until they try to renew their green card. Need I point out how insane that is? Your story caught my attention because we are facing exactly the same problem. I absolutely agree with your suggestions. There are many circumstance that makes impossible for us to follow immigration procedures. Reasons could be anything, financial situation, work situation, family reasons and so on. I have seen many posts like this on the web. One post was about husband has to work aboard more than 5 years and he is worried that that since he renewed his wife’s reentry permit twice, they will deny her re-entry permit for 3rd renew. In this case, he does not know how long he has to be aboard so returning the greencard might be the best idea rather than “being taken away”. He can apply her green-card again if they decide to come back to the US. 2) Allow applicants to file their re-entry applications outside the USA and require them to travel to USA only for bio-metrics. Atleast this will reduce the number travel required by 50%. Hope there is a way to high-light these issues and maybe include the changes in the current Immigration Reform act. I want to ask if I receive a date to biometric on aug 5 on 8am but I need to go aboard on aug 4. So in situation like that I can go erly to uscis office and than they take me ?? Pls reply fast.! What city is your ASC located in? It may be possible to walk in to the ASC at other than your appointed time. Or, if that ASC is not cooperative, it may be possible to walk in to another ASC in a nearby city. It’s also possible to reschedule your biometrics appointment, as mentioned above. You could request an expedited appointment before you leave (if you act quickly and USCIS cooperates), or you could request that the appointment be rescheduled for when you return, if you’ll be back within a month or so. Still, trying to walk in sounds like it may be an easier situation for you than using the reschedule process. As I understand, a reentry permit applicant must be physically present in the US when the 1-131 is mailed but can leave before it’s received by USCIS. Is that right? New York City is good about letting people come in early for biometrics appointments, even if just the I-131 receipt notice (but no biometrics appointment notice) has been issued. Are you saying that i can simply walk into ANY ASC centre with my i-131 receipt notification email and have my biometrics done?? – If so that is great! Gary, can you confirm this??? Anyone has had any experience with the ASC in Honolulu, hawaii?? I’m about to go over for 10 days and i’d like to get it all sorted then. I’m not saying that you can walk into ANY application support center (ASC) without an appointment. I’m saying that you can walk into MANY of them. They will allow biometrics as a matter of discretion even if you are scheduled for a different date or ASC. This includes Honolulu. Still, as I mentioned above, before traveling a long distance to an ASC without an appointment, you or your lawyer should contact that ASC to confirm its current policy. Roman: although the ASCs state that appointments are normally required, in fact many have policies allowing walk-ins for certain reasons and at certain hours. We routinely contact local counsel to ascdertain local policies. Thank you for your response Gary. In your experience, family wedding and air fare tickets on hand, reason enough for a biometrics walk-in? Also, is it necessary to have a biometrics apt scheduled or is having a LIN receipt number enough? P.S. This is for an I-131, trip planned less than 15 days away. You do raise valid points about having biometrics done at embassies and USCIS stations abroad and not having to be physically in the US to file a petition, but exaggeration detracts from your argument. Filing an I-131 does not require either a “few dozen documents” or a “couple of thousand dollars”. In fact, obtaining a reentry permit is one of the easier things you can do with USCIS. There is no reason your wife cannot leave the US pending the processing of her new reentry permit. It is false that leaving without the new reentry permit in hand will jeopardize her green card. There is a reason that USCIS will have the new reentry permit delivered to an embassy or USCIS office overseas if requested, you know. As for biometrics, yes, it is annoying to have to be photographed and fingerprinted on multiple occasions. However, biometrics are required not so much to update USCIS systems as much as to ensure the applicant really is the person eligible for benefits. Otherwise, anybody who even slightly resembled your wife who knew her SSN and A number could file an application for, say, a lost green card and completely assume her identity. I agree with you that filing applying for a reentry permit (RP) doesn’t typically require filing a “few dozen documents,” but having worked on many of these cases and read appellate records in others, sometimes they do become complex–typically on issues over whether a person has previously abandoned LPR status or whether the applicant has met the burden of proving that the intended stay abroad falls within the legal definition of “temporary.” Still, in a run-of-the mill case, our law firm spends most of our time not preparing complex filings for USCIS but instead working with the clients to prepare a plan for retaining ties to the U.S. and documenting the temporary nature of their stay abroad in order to preserve their LPR status during the period they are outside the U.S.
And I agree with you that biometrics requirements help to ensure that an RP isn’t issued to an imposter, but I’m not sure if an imposter could derive any benefit from an RP: each time the RP holder enters the U.S., fingerprints are digitally scanned and cross-checked against the fingerprints that were taken when the individual applied for LPR status (as well as the FBI’s NCIC database). So, it seems to me, an imposter getting an RP would probably be detained when trying to seek readmission to the U.S., no? Yes, there undoubtedly would be issues should an imposter attempt using a reentry permit at the U.S. border or even a green card. Still, a reentry permit can also function as a travel document and is valid as such for certain visa applications and subsequent travel to / from certain nations. While not exactly sure of why, a colleague uses a travel document obtained via an I-131 filing to travel back and forth between the US, Canada and Peru. While in Peru, he uses it to travel to and from Chile. I would think that some people with nefarious intent could make use of a travel document that would enable them to pretty much anonymously cross borders in other countries. In addition, there are uses for a green card or reentry permit which do not involve travel. They serve as valid and accepted proof of identity which, in turn, could then be used to obtain further forms of identity. A reasonably industrious underhanded individual might find something like that quite valuable. I can see where USCIS might want to keep tight control on immigration documents and take what may seem like extreme precautions to ensure they do not fall into the wrong hands. I know that USCIS policy is that biometrics are “stale” after 18 months (though I’d suspect this refers to photographs and signatures rather than fingerprints), but another factor in requiring, for example, Chad’s wife to provide biometrics twice in a 60-day period is more related to USCIS processes for document production. I would, in fact, be surprised if their system for capturing and using biometrics for production / manufacture of, say, a green card talked with their system for production of a reentry permit. Is it right? Maybe not. Should it change? Probably should. Will it change soon? Nope. I may need to apply for my second re-entry visa within about 4 years. Do I need to repeat the Biometric process or do they retain my fingerprints? My assumption would be that I do have to repeat, but I want to double check- as I am currently overseas so it could be costly to travel. Repeat applicants have the same biometrics requirement as first-time applicants. Hi: I just missed my biometric appointment. I’m living in Germany with my husband who is in the U.S. Army. Still, USCIS scheduled me for an appointment in Cincinnati, Ohio. Does anybody know if i can take the biometrics in Germany at the U.S. Embassy? The USCIS customer service guy was unable to answer my question. Unfortunately, USCIS won’t allow an applicant to get fingerprinted at the U.S. Embassy for purposes of a reentry permit application–even though the applicant’s spouse serves in the U.S. Armed Forces. You’ll need to get your biometrics taken in the U.S. Consider the option of rescheduling your biometrics appointment. Instructions for rescheduling are on the last biometrics appointment notice you received. By the way, rather than calling the USCIS general customer service line, you may have more luck using the USCIS’ toll-free “Military Help Line” exclusively for members of the military and their families: 1-877-CIS-4MIL (1-877-247-4645). I intend to leave US after filing the I-131, then return for the biometric appointment. Two questions I have. One, as I won’t be at my US address during that time period, how would I receive the notification for biometrics? Can I request the notification to be sent to a designated address? Two, when I enter US for the biometric appointment, as my old re-entry permit has been submitted in support of the new re-entry application, do I just use my green card to get through the US custom and immigration? Yes, you can have a reentry permit sent to a different address than your actual U.S. home. Discuss the advantages and disadvantages with your lawyer. And if you’ve been out for under 1 year straight, you can use the green card instead of the reentry permit to seek readmission. In other words, the card itself is a valid entry document. I’m currently waiting for my I131 reentry permit – I’ve already taken the biometric (in Oct) and till Dec 23 – it will be three months since USCIS received my application. But due to my employment, I need to leave US in Jan 2015. However, I do still have an address in US where they can mail my permit to and my greencard. Can I leave the country before I’ve received the permit? Thanks! There’s no requirement that an applicant for a reentry permit (RP) remain in the U.S. while the application is pending–the only physical presence requirements are at the time of filing and for the biometrics appointment. Many people subsequently depart the U.S. and, when the RP is issued, have it mailed to them abroad. That said, there are always risks (sometimes small, sometimes large) that the RP will not be approved and that an individual may have trouble reentering the U.S. If you need legal advice in order to gauge these risks, you may want to schedule a consultation with our law firm or another competent immigration lawyer. Another question… We are filing the I-751 at the same time as the I-131… Is it possible to only submit one check for biometrics ($85) instead of two? Please, how many times maximum can I reschedule my biometrics appointment for re entry permit. Deola: Take a look at our Guide to Reentry Permits. It explains that biometrics can be rescheduled multiple times but an application will be considered abandoned in any case where the biometrics appointment hasn’t taken place within 120 days of filing the I-131. Do I understand correctly that it is possible to walk-in for my greencard/biometric appointment at a date different then (before) my appointment at the Honolulu USCIS Application Support Center? Thanks very much for your help. Fabian: Allowing biometrics processing without an appointment is a matter within each ASC’s discretion, so ask your lawyer to check whether it’s currently possible. Bring your receipt notice or biometrics appointment notice. And any evidence of the urgency of your travel.